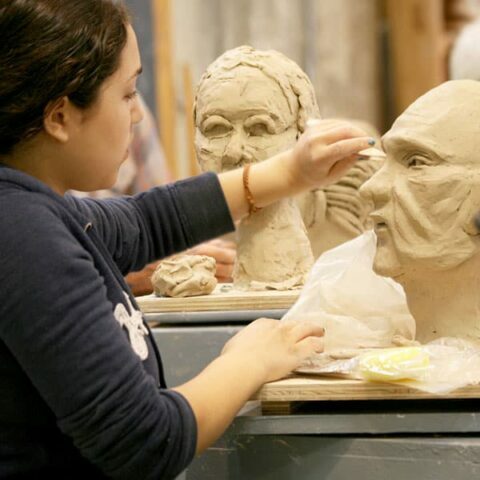 The Academy’s facilities are designed to prepare you for an Art Education career. Our hands-on learning environment within the art studio creates a culture that supports curiosity, investigation, and production. Online students are also hands-on, as they engage in discussions and activities through the online platform, social media, and real-time streaming of our events. Both online and onsite learning environments are equipped to give you the skills you need to create the teaching career of your dreams.